The Madero Pack-Mat provides an extraordinary cow comfort in individual beds. 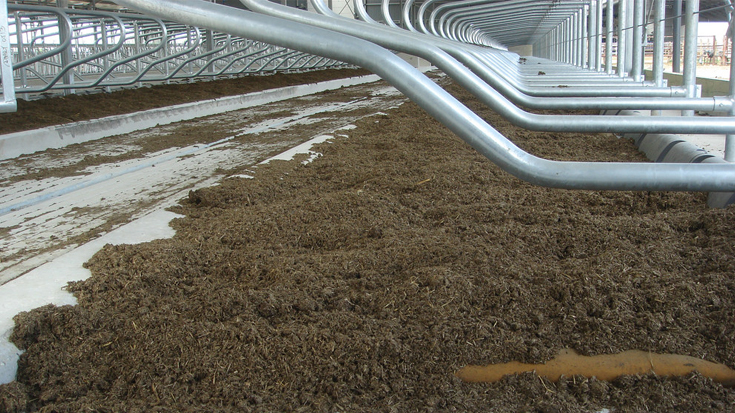 Its pad covered with sand is an ideal rest area for the cows. The Madero Pack - Mat installation serves as a shock absorber, absorbing the impacts of the cow against the floor, eliminating the damages to which the animal is always exposed. Reduces the quantity of sand mixed with manure. Fewer swollen hives and leg injuries. Softer than 8” of sand. Long durability due to its highly resistant materials.